Binghamton NY's newest, family owned tire and auto service center! Who is Big E Tire? Big E’s Tire & Auto Service is an Erwin Kost company that is opening a tire center at 363 Court Street, Binghamton, NY (formerly WJ Norton’s Engine Repair). 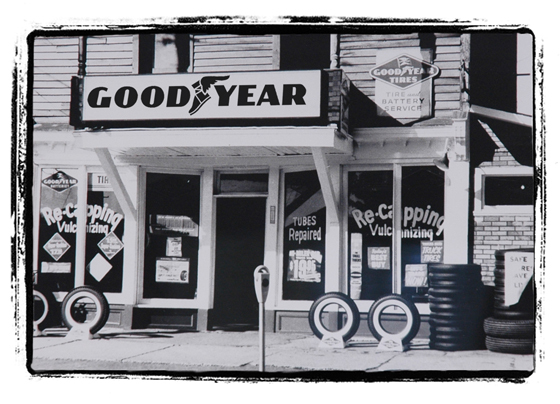 Erwin Kost’s family has been in the tire business since 1938 and Big E’s Tire & Auto Service is owned and operated by two generations of that family, Erwin Kost Sr., President and Erwin Kost Jr, Vice President. Erwin Kost Sr. and Erwin Kost Jr. own and operate an affiliated Pennsylvania company, Kost Tire Distributors, Inc., which has 23 Kost Tire & Auto Service stores in Pennsylvania (http://www.kosttirepa.com/). The Erwin Kost family is now coming into New York as Big E’s Tire & Auto Service, a name that comes from Erwin Kost Jr.’s nick name throughout his childhood, first as “Little E” and now because of his size as “Big E”. The Erwin Kost family is looking forward to doing good business as Big E’s Tire & Auto Service and “Earning our Customer’s Trust” for a long time into the future!